A contestant on the game show Jeopardy! has passed away a week before her appearance is scheduled to air. Cindy Stowell, a science content developer from Austin, Texas, had Stage 4 cancer when she competed on the show a few months ago. 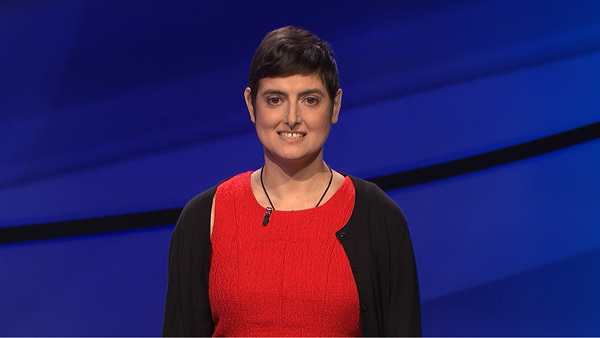 According to Jeopardy!, Stowell's goal was to donate her prize money to cancer-related organizations. "Competing on Jeopardy! was a lifelong dream for Cindy, and we're glad she was able to do so. Sadly, Cindy died on December 5. Our condolences and best wishes to her family and friends," host Alex Trebek said in a statement on the show's website. According to the show, Stowell passed the online test in early 2016 and received an invitation to an in-person audition in Oklahoma City this summer. Do you have any idea how long it typically takes between an in person interview, and the taping date? I ask because I just found out that I don't have too much longer to live. The doctor's best guess is about 6 months. If there is the chance that I'd be able to still tape episodes of Jeopardy! if I were selected, I'd like to do that and donate any winnings to...charities involved in cancer research. If it is unlikely that the turnaround time would be that quick, then I'd like to give up my try out spot to someone else. The Jeopardy! producers agreed Cindy should come to the auditions, and if she qualified to compete, she would be booked for a taping right away. She qualified. The show was taped three weeks later on August 31. The show says only a select group of staffers and the host knew she was ill. Her opponents were unaware. Cindy came on Jeopardy! to play the game she loved and in doing so, she was able to make a contribution to cancer research in the hopes that no one else would have to go through what she did. Her appearance will air on Tuesday, December 13 at 7 p.m. on 6abc.